This summer, BIOS scientist Mark Guishard and college intern Shane Antonition (pictured above) paired up to begin looking at the mysterious little bottles through a scientific lens to find out just how useful these oil-filled tools are at forecasting storms. Tools of the trade: thermocyclers, like the one used by BIOS scientist Leo Blanco-Bercial shown above, enable scientists to target and amplify specific genetic sequences of interest, whether those sequences originate from the tiniest plankton or the biggest fish on a reef. The new Molecular Multi-User Facility will have similar instruments to facilitate molecular work for ocean ecology. 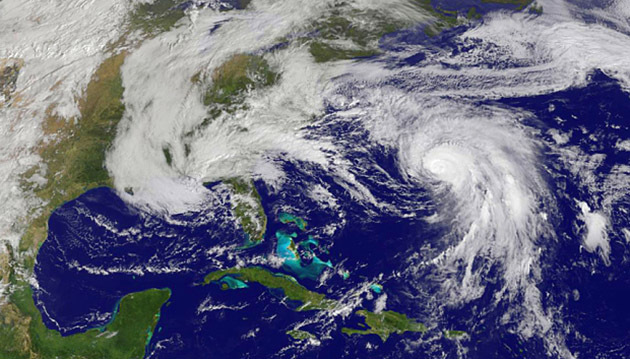 Risk Prediction Initiative (RPI) Member companies and local sponsors have agreed to fund a project to reconstruct a pre-historical record of hurricanes in Bermuda, using information gained from examinations of sediments deposited by hurricane storm surges and waves in two island water bodies, Spittal Pond and Mangrove Lake. 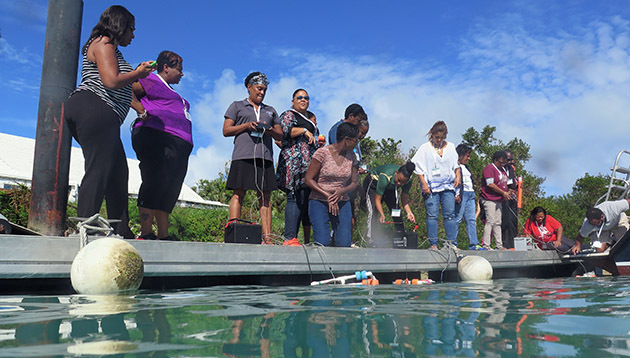 Island teachers learned about undersea robots this week during a two-day professional development workshop hosted by the Bermuda Union of Teachers. Their middle school students will be learning to design, build, and test vehicles like these during an April 2016 robotics challenge event. 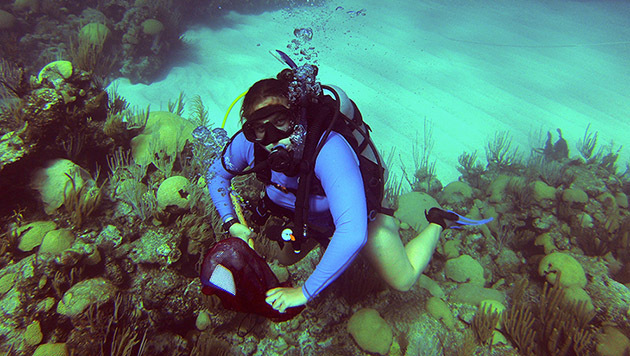 Student Hannah Reich (shown above) spent the summer at BIOS conducting coral reef fieldwork for her master’s thesis with mentor Gretchen Goodbody-Gringley, assistant scientist at BIOS. 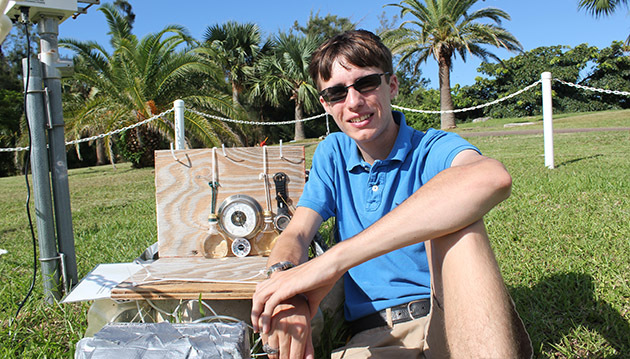 Professor Todd Livdahl, who travels to Bermuda every other year with a team of students studying at BIOS, investigates mosquito species and observes the island’s efforts to control them. 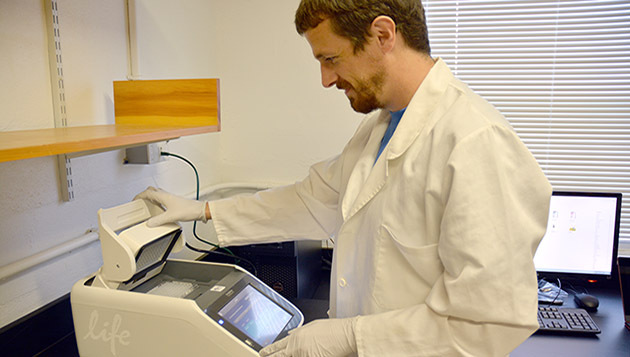 Read more about the work of these Clark University researchers and their relationships with BIOS.